Silicon Second Nature takes us on an expedition into an extraordinary world where nature is made of bits and bytes and life is born from sequences of zeroes and ones. Artificial Life is the brainchild of scientists who view self-replicating computer programs—such as computer viruses—as new forms of life. 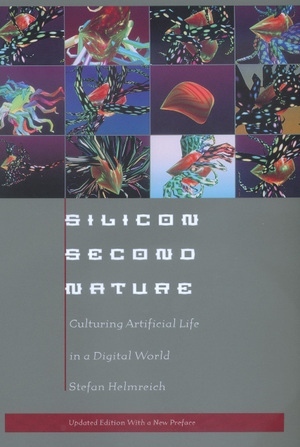 Anthropologist Stefan Helmreich's look at the social and simulated worlds of Artificial Life—primarily at the Santa Fe Institute, a well-known center for studies in the sciences of complexity—introduces readers to the people and programs connected with this unusual hybrid of computer science and biology. When biology becomes an information science, when DNA is downloaded into virtual reality, new ways of imagining "life" become possible. Through detailed dissections of the artifacts of Artifical Life, Helmreich explores how these novel visions of life are recombining with the most traditional tales told by Western culture. Because Artificial Life scientists tend to see themselves as masculine gods of their cyberspace creations, as digital Darwins exploring frontiers filled with primitive creatures, their programs reflect prevalent representations of gender, kinship, and race, and repeat origin stories most familiar from mythical and religious narratives. But Artificial Life does not, Helmreich says, simply reproduce old stories in new software. Much like contemporary activities of cloning, cryonics, and transgenics, the practice of simulating and synthesizing life in silico challenges and multiplies the very definition of vitality. Are these models, as some would claim, actually another form of the real thing? Silicon Second Nature takes Artifical Life as a symptom and source of our mutating visions of life itself. Stefan Helmreich is Assistant Professor of Science and Society at New York University.